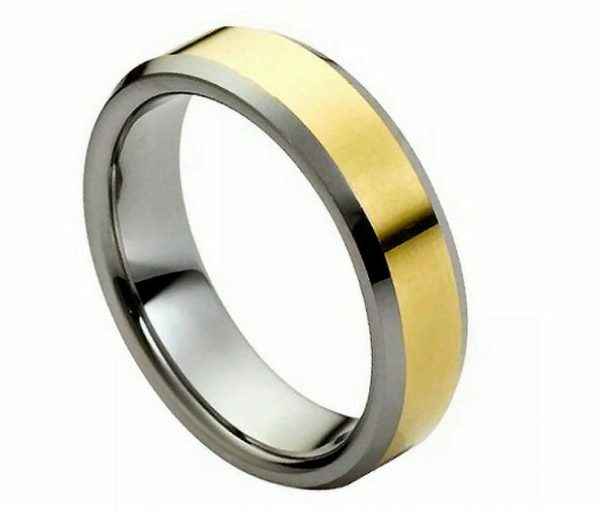 Simple and beautiful, this gold-plated tungsten ring with low beveled edges, is the perfect affordable alternative to a traditional gold wedding band. 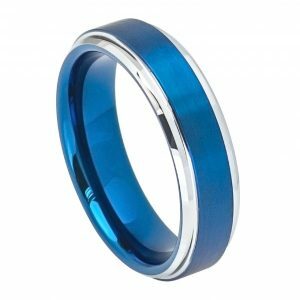 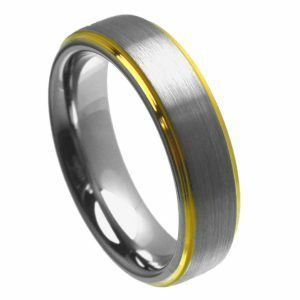 This unique wedding band is designed to be comfortable and consists only of high-quality and long-lasting tungsten and gold plating. 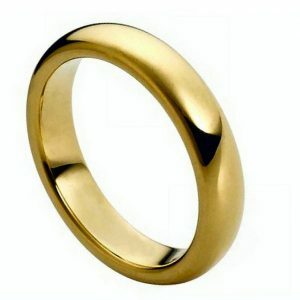 Choose from male or female widths, and have this ring engraved with one of our six unique fonts. 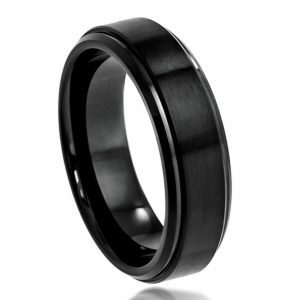 We know you'll find the perfect way to say exactly how you feel.